A 12-year-old female chimpanzee (Pan troglodytes schweinfurthii) of M-Group in the Mahale Mountains National Park, Tanzania was seen to rouse, capture, and eat a squirrel hiding in the narrow hole of a tree. The kill was aided by the use of a sturdy tool modified from a branch of the same tree. 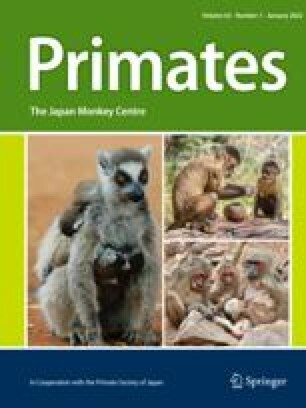 This appears to be the first reported case for chimpanzees, or any other nonhuman primate, of tool-use that directly led to the capture of a mammalian prey species. This behavior is discussed in relation to possible factors contributing to the occurrence of tool-use in small mammal predation especially by females to exploit a low competition meat source.